Rare metal wall lamp model NX 23 designed by Louis Kalff for Philips 1958. 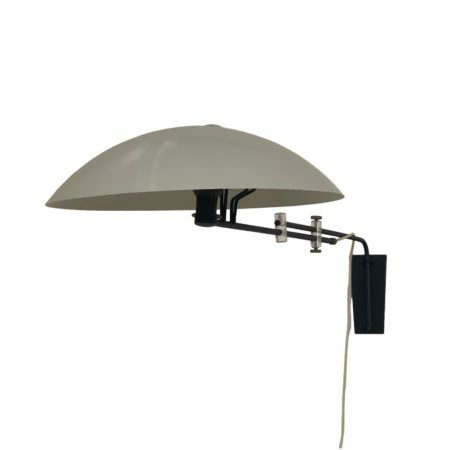 This wall lamp is adjustable / extendable from 68 – 100 cm, the hood can also rotate. Louis Kalff was head of the design department at Philips until 1960. Considering its age in very good condition; normal traces of use (see photos). Colour: grey, black and white. Source: Philips 1958 catalogue, page 74.